I was sitting across from the general manager of a large building in Gurgaon, just outside of Delhi. Gurgaon Christian Fellowship (GCF), the church I pastor, had been meeting in this building for ten years. Gurgaon is a modern suburb where many of India’s corporate managers and professionals live. Much of the development is recent, and the local government resists the construction of Christian churches. So GCF, like other churches in Gurgaon, rents space to use for worship, fellowship, and meetings. Our ten years as a tenant had been smooth and peaceful. But in 2014 our country experienced a major change. After decades of dominance, the Congress party had been voted out in national elections. The Bharatiya Janata Party (BJP), preaching a hardline Hindu message sandwiched between promises to spark economic growth and clean up corruption, had won a landslide victory. BJP leaders were moving quickly to bring change—and not just political or economic change. A new wind was blowing in India. “How much of an increase in the rent?” I asked the landlord. I was stunned when he quoted a figure that was four times over our current price. “I’m afraid your parking-lot privileges are no longer available,” he added. And our exit time, which had been a flexible 1:00 p.m. or so? “You will need to be out of the building by 11:00 a.m. sharp,” he said. Finally, he informed us, anytime we needed to use the space for a special event or midweek meeting—something that had always been included in the base rent—we would be subject to an additional charge. OVER THE PAST few years, India has entered a season of rising intolerance, not only with respect to faith and religion, but also with any views which are contrary to the hearer’s own, or “offend” the hearer in any way. The most marked difference in public life is seen in the increasing rhetoric against any faiths other than the majority Hinduism. 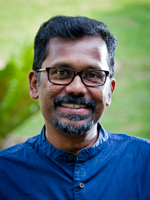 DAVID DAYALAN is pastor of Gurgaon Christian Fellowship in Gurgaon, Haryana, India. He also serves as national director for Asian Access India and as A2’s Vice President for Program Development. He, his wife Anita, and their youngest daughter Sianna live in Gurgaon. Copyright © 2017. Created by HCS and AsianAccess. Powered by WordPress.